The 6306 Series Inserters combine user-friendly features with high productivity. Five models are available to meet the needs of any size office or small mailroom. A variety of input configurations includes a high-capacity document feeder for up to 725 sheets, a high-capacity production feeder, standard and special feeders, and short feed trays. Users can store up to 50 programmable jobs for efficient and hassle-free set-up and operation. Standard features include a 7” full-color touchscreen control panel with graphical interface, high-capacity vertical stacker which holds up to 500 finished envelopes, automatic paper and envelope presence sensors with indicators on the control panel, and a large top-loading envelope hopper with a capacity of up to 400 envelopes. The 6306 Series also includes an eco-friendly sleep mode which saves energy by automatically putting the inserter into standby mode after 1 hour of being idle. CIS scanning technology covers the full width of the doucment feeders and accurately reads OMR, 1D and 2D barcodes printed in any location on a document. Optical Character Recognition (OCR) is also available, which uses page numbering in 1/1 or N-of-M format to ensure each set is complete before being inserted into an envelope. 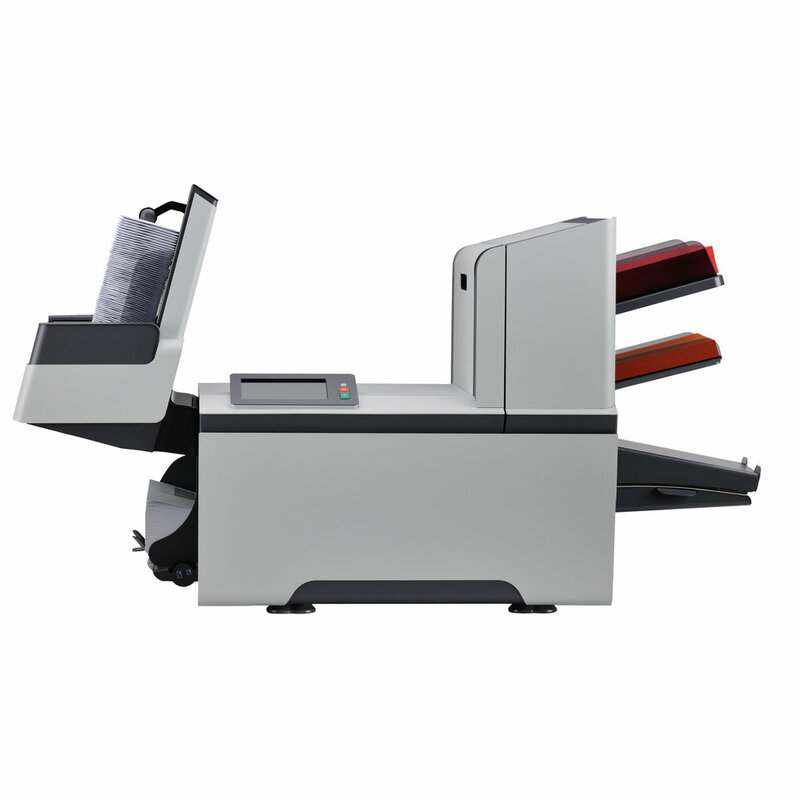 The 6306 Series is powerful enough to fold up to 8 pages in tri-fold and up to 10 pages in half-fold modes. Its versatility allows for processing forms of various lengths and thickness all at the same time, up to 3,800 per hour and up to 40,000 pieces per month. Options include a production feeder which holds up to 1,200 sheets or 325 BREs, Advanced OMR and BCR, Formax MailDocTM Software, and a side exit tray for up to 400 filled envelopes. AutoSetTM: Automatically senses and sets paper length, fold type, envelope size, fold length and double document detection. Simply load and go.